PDAC: it’s been called the Superbowl or the Oscars of the resource extraction industry. Every year, the Prospectors and Developers Association of Canada (PDAC) convention comes to Toronto, claiming to promote responsible mining, facilitating relationships between companies and investors, and promoting pro-mining curriculum aimed at children and Indigenous communities. It’s true that the Canadian mining industry is widely recognized as a worldwide leader in the extractive sector. Nearly 75% of mining companies around the world are Canadian, and Toronto in particular is known as the global hub for mining finance. But that’s not the whole story. This same industry is also one of the world’s most egregious offenders when it comes to human rights and environmental abuses. Over the years the Canadian mining industry has come to be associated with assassination, sexual violence, police brutality, forced labour, union-busting, death threats, deliberate burning of crops and property destruction, forced displacement, environmental contamination and associated illnesses, and psychological trauma. The extractives industry (as well as many others in the business sector) has started using the words “disrupt” and “disruptor” a lot. Calling somebody in the industry a “disruptor” is basically like saying that they’re an “innovator” or a “game-changer”. We find this trend hilarious because “disruption” is exactly what we’re trying to do, here — but this obviously isn’t the kind of disruption they’re looking for. 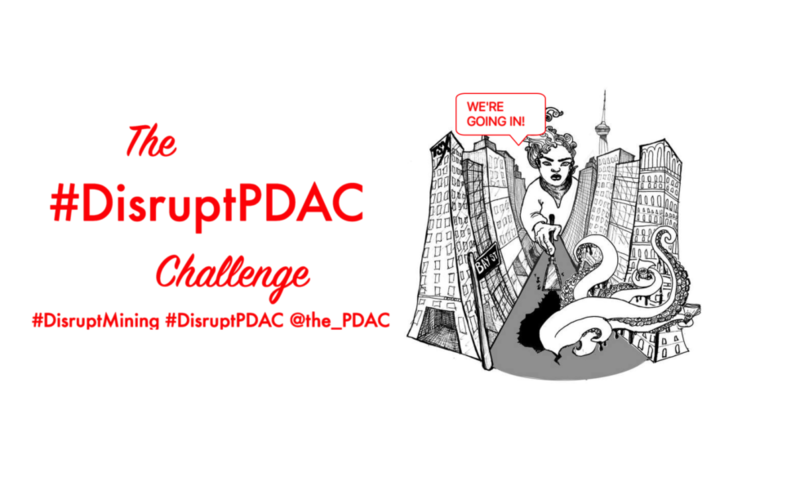 #DisruptPDAC is a hashtag that we created, but #DisruptMining is *theirs*. It was created to help promote a “mining innovation” awards ceremony hosted by Goldcorp, a Canadian mining company known for ongoing human rights abuses and environmental devastation. Together, let’s hijack their hashtag and bring their lies to light! Want to join in on the disruption?